Everyone in the blogosphere and twitter-sphere has been talking about this new form of heaven! Magnum which is made with Belgian Chocolate. Who does not love chocolate? 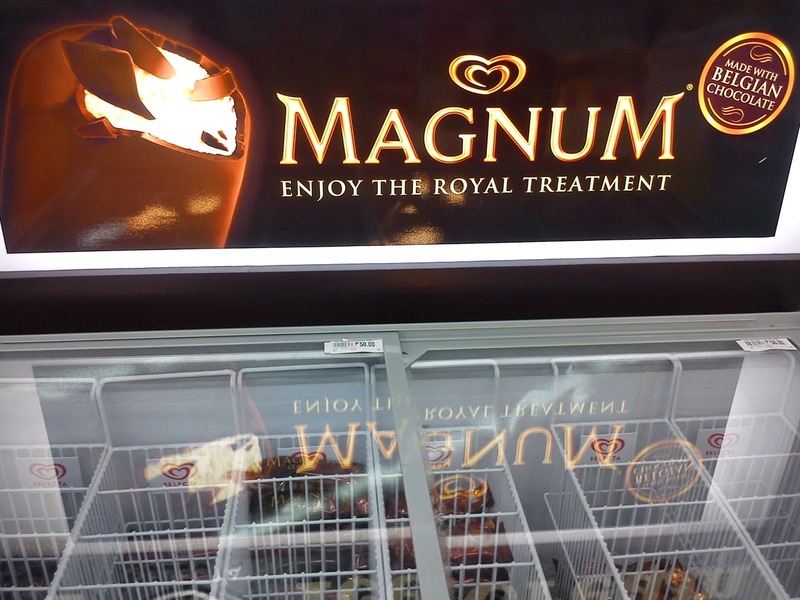 So what makes this piece of heaven a total treat? 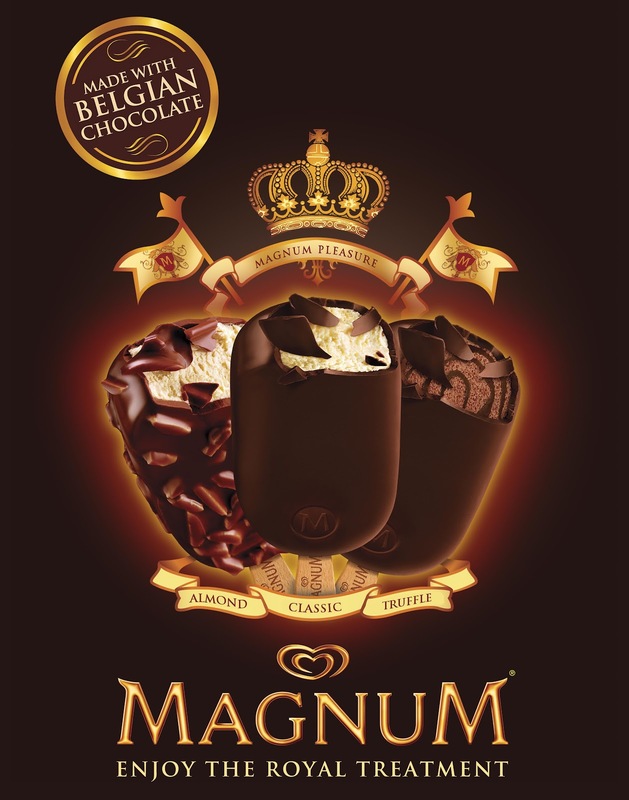 The 80 gram ice cream contains a smooth vanilla ice cream covered in a thick cracking rich chocolate! OMG! You don't get this from any other brand made locally! Magnum is owned by a Dutch/British Unilever company and sold as part of their Heartbrand line of products. These were sold to different parts of the globe offering different varieties. Now it reached the Philippines! Everyone was raving about it. We went to seek our pleasure and decided to have our hunt. Mission accomplished on our first stop at Robinson's Supermarket located in Tamiya. Upon our arrival, saw this just next to the entrance!Who was I to miss this? Can you hear what I hear?! YES! It surely cracked! wa pa jud ko katilaw ani! perme ra mahutdan akong palitan. Yeah, that's what I heard sad! Blockbuster kaayo!